During his career working at the AFL, Pat Cunningham first crossed paths with Neale Daniher. 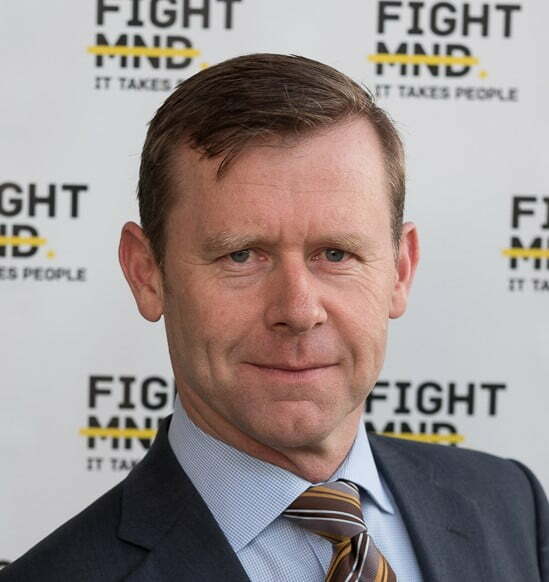 He joined the FightMND Board in early 2015, and has a personal connection to MND through his wife Angie who sadly lost her battle with MND in 2016. Pat has spearheaded the project management of the Foundation’s largest public fundraiser – Big Freeze at the G, and also leads the FightMND Care Committee in overseeing the Foundations Care portfolio and grant application/award processes. Pat, along with his two daughters Maggie and Sophie, live in Melbourne’s East and are supported by a wonderful group of friends and family.